Great tips! Can’t wait for the next one of this series!! BTW, this episode comes at a very oppor­tune moment episode since I’m get­ting into por­trait­ing and I’m very inter­ested in all those tech­niques and advices. Funny thing is that I was not a per­son inter­ested in por­traits till I came up to your pod­casts. Now I just can’t stop tak­ing peo­ple shots, I’m lov­ing it! I’ve always been try­ing to get the most from your episodes using my com­pact cam­era, but now I’ve just bought a dSLR and hope entirely to take advan­tage of your experience. Really would like to thank you for your work and ded­i­ca­tion to pho­tog­ra­phy podcasting. Thanks Al and Tim for those com­ments. Tim — I think you are bang on with the shadow to light dif­fer­ence. 1/2 stop to one stop seems right based on the posi­tion of the light rel­a­tive to the subject. I’m a bit behind, but I just lis­tened to this issue. Great stuff! Your pod­cast man­ages to be acces­si­ble to non-pros like me while still cov­er­ing top­ics like this that are beyond the usual dis­cus­sions about what expo­sure means. I had two ques­tions while lis­ten­ing to this; maybe these will be top­ics for an upcom­ing pod­cast. First of all, related to the dis­cus­sion of broad/short light­ing, I was won­der­ing how great would the dif­fer­ence be from shadow to light? 1/2 stop, 1 stop? From the pic­tures above it looks like a bit under 1 stop to me. 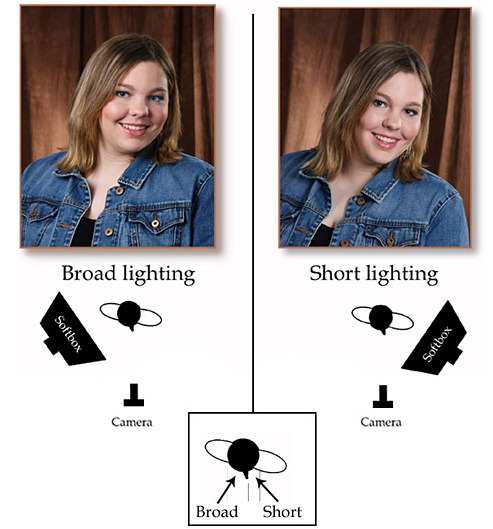 Sec­ondly, I often take pic­tures of groups of peo­ple, maybe 5–10, that might *all* want to look a lit­tle slim­mer. 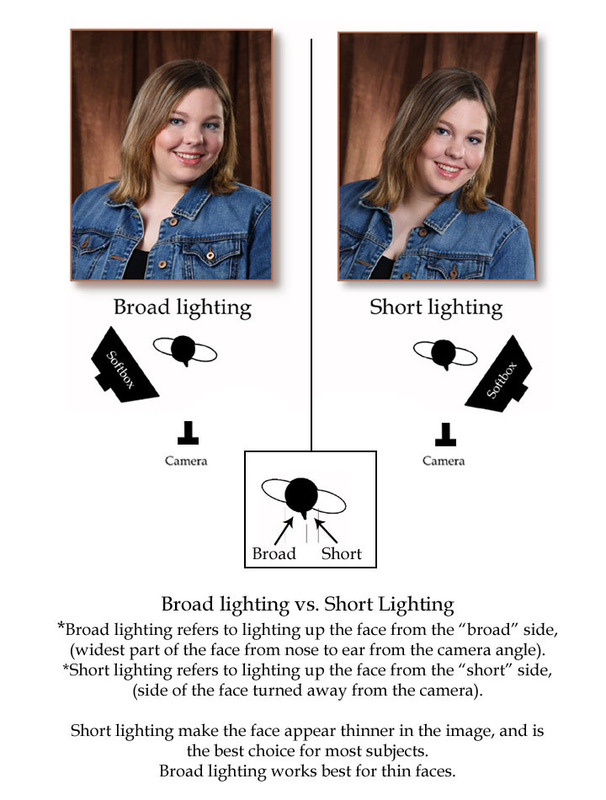 It seems like short light­ing would be a bit extra chal­leng­ing in this sit­u­a­tion, maybe requir­ing mul­ti­ple strobes, or the light­ing across the group would be uneven. Do you have any tips in this area? Awe­some! Faces have always been a major issue for me, to the point where my girl­friend refuses to let me take pho­tos of her face. Hope­fuly now I can con­vince her to let me try out these tips on her.